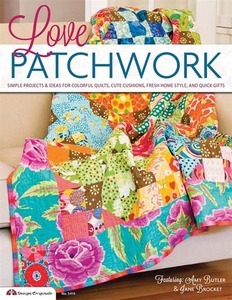 Create a wonderful world of color, pattern and sheer gorgeousness that is patchwork! Full of simple projects and ideas for having fun with fabric. Includes 11 projects for every skill level, step by step instructions, diagrams, patterns and photographs. 95 Pages.